ADDRESS Interview with Lux Assemblage. Define your craft in 3 sentences or less. I produce lamps from vintage, retro & quirky old items. It’s functional art that will bring sleek light into your home & not the land fill. 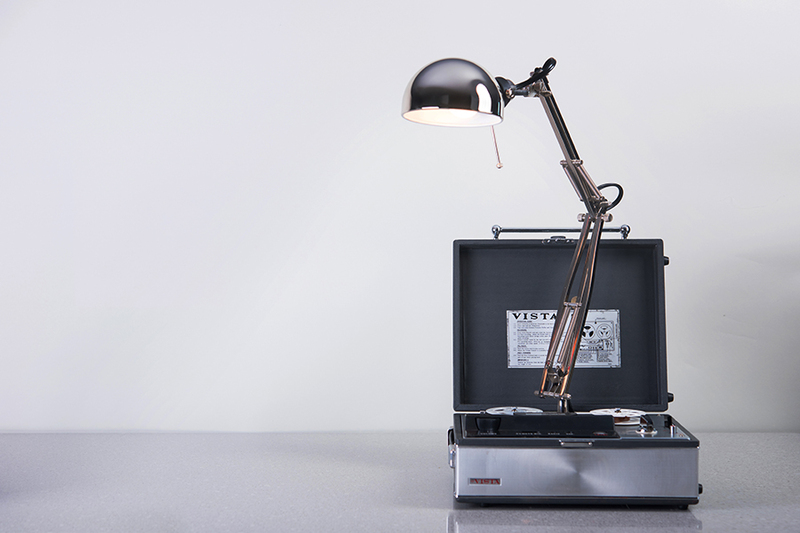 Vintage cameras, tripods, typewriters, projectors, microscopes, toys, tools are crafted into flamboyART lamps. Describe your creative process. I will sit with a unique vintage object, in my living space, and appreciate the lines, contours, & colour. Something emerges from sharing the same space. People have brought me objects from their past, their parents or their grandparents. I am inspired by the story of it as I work on their piece. Where do you find inspiration when experiencing a creative block? I have spent the past 25 years as an industrial electrician. I am inspired by architecture, colossal structures, construction, buildings, cranes in the sky. If none of these are available thumbing through design magazines, art galleries, photography books, architectural mags, help with the blockage. What advice would you give to young designers / makers / artists / creatives aspiring to make it in their field? Be yourself, keep the ideas and projects flowing, network and help others. What’s your dream project? I dream of bringing light into peoples lives by producing artful lamps. What design trends are you excited about? I’m excited about the reuse and recycle movement.